The Battle Arms Development Combat Ambidextrous Safety Selector (BAD-CASS-SA) has detachable levers that are interchangeable on both sides for maximum flexibility and user preference. 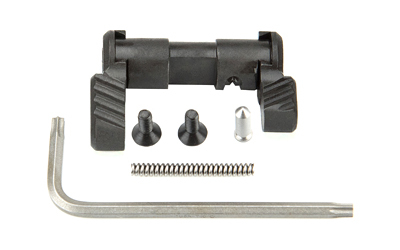 The Dovetail lever attachment of the BAD-CASS removes the sress from the screws for superior strength and dependability. Designed for semi-automatic AR-15 and AR-10 rifles.